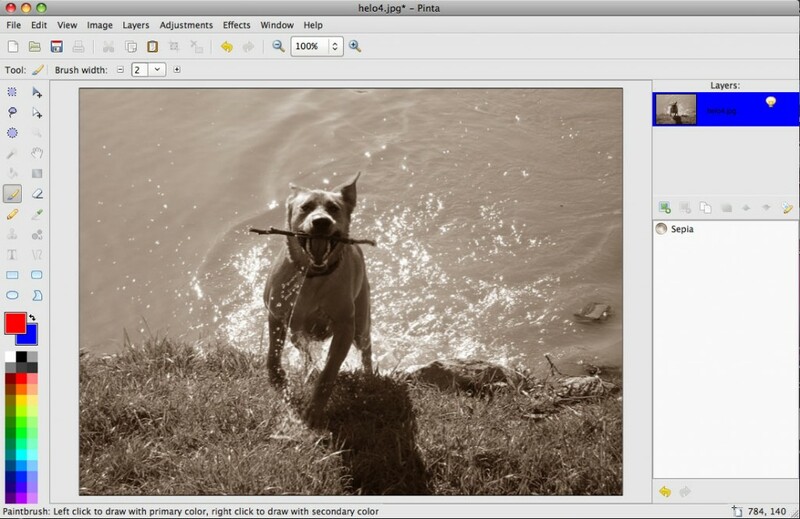 Pinta is a freely available drawing or an editing tool for Linux platform. Its considered as a clone of Paint.Net for Linux users. This tool can be called a light weight GIMP, an image manipulation tool which you all are aware of. Pinta utilizes the Cairo (a powerful 2-dimensional graphics library) and GTK libraries (Library to build graphical user interfaces for X Window). It has features like history and multiple layers. As the developers hint this app is currently in development stage. 1. Includes common drawing tools like Paintbrush, Pencil, Shapes, Eraser, and Selections. 2. Includes Adjustments and Effects like Invert, Sepia, Black and White, and Auto Level, with more on the way. 3. It supports multiple layers. If you are a non linux user and wants to test this awesome editing tool, all you have to do is add runtimes for windows and Mac platforms. Windows users need only have the GTK runtimes installed and Mac users will need Mono for Mac. Previous Entry: Mac Box Set at Great Deals Through Amazon!